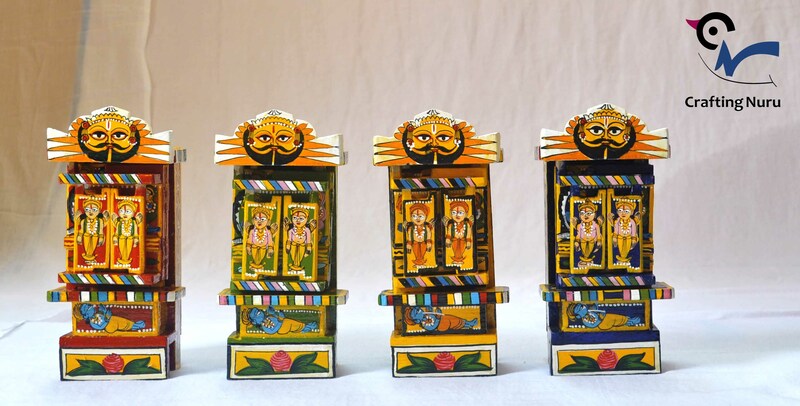 Kaavad is a portable wooden temple/shrine that has visual narratives on its multiple panels that are hinged together. These panels open and close like doors simulating the several thresholds of a temple. The visuals are those of Gods, goddesses, saints, local heroes and the patrons. 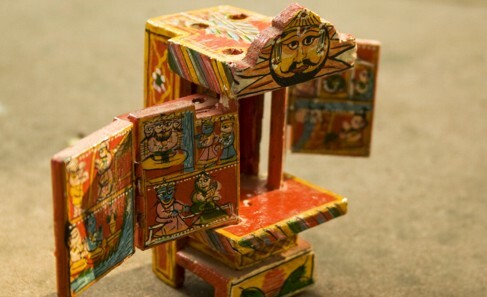 It is made by the Suthar (carpenter) community in Mewar for the itinerant Kaavadiya Bhat (storyteller) from Marwar who brings it to his patron’s houses in Rajasthan. This way the deity comes to the devotee rather than the devotee going to the temple. The storytellers unfold the multiple panels of the Kaavad as they recite stories and genealogies of their patrons (jajmans) spread across Rajasthan and adjoining states. 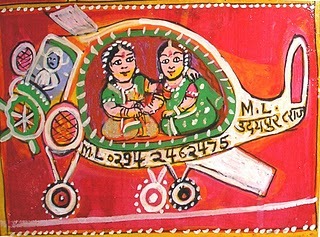 The patrons commission images of themselves in the Kaavad and are represented riding zof their choices, be it a plane, an elephant, a camel or a bullock cart. 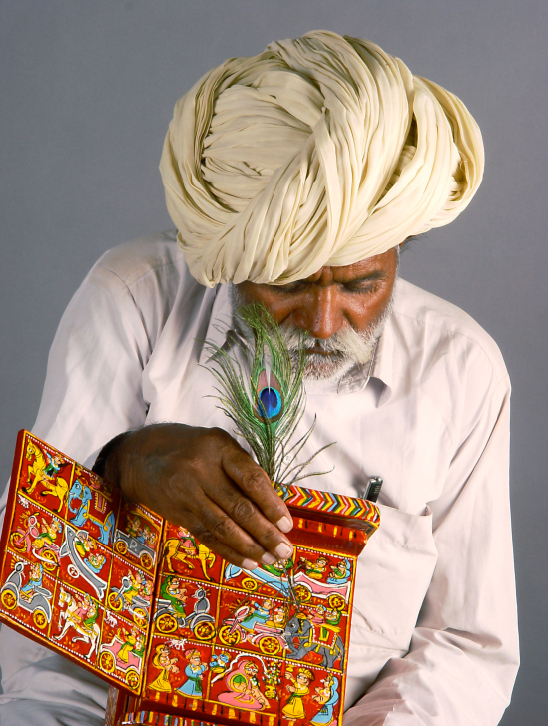 The experience of travel in the unfolding and the recitation of the stories is akin to performing a pilgrimage. Kavad making looks like a fast disappearing tradition. Not more than 10-15 artisans are left who do this work. Changing lifestyle patterns have made the story narration practise lesser, thus the traditional kavads are no longer sustainable as an only medium for income. So these people have started making smaller kavads as a decorative or gift item which are creating a good demand. 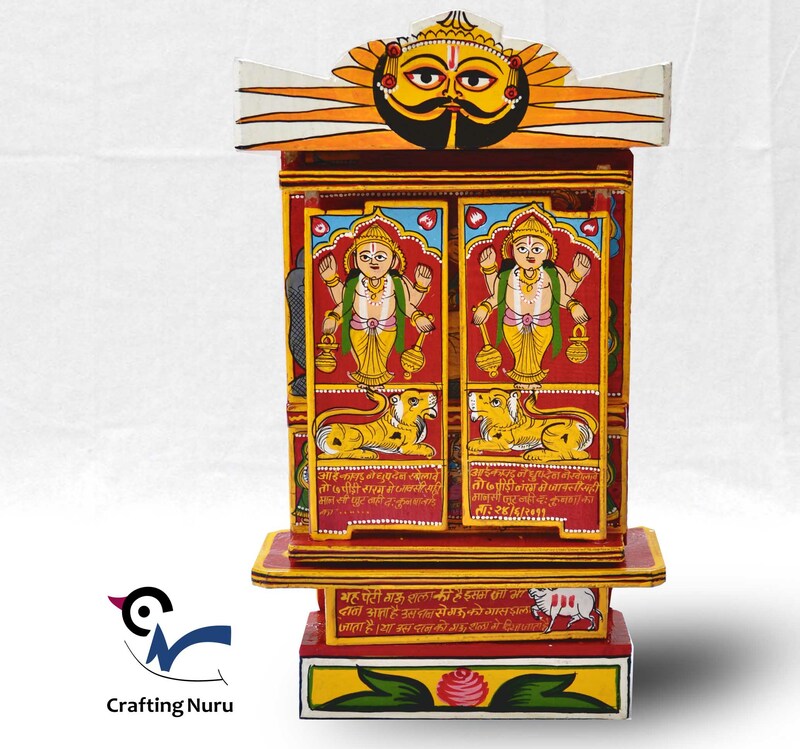 The traditional kavad – popularly known as the Marwari kavad has 10 doors, while artisans have now started making smaller kavads with 8 doors which are smaller models of the originals, not for the purpose of storytelling. The sizes generally varie from 3 to 12 inch for these smaller kavads and are available in multiple colors, while the traditional kavad was always red. Apart from this, these people have started making kavads as teaching aids – with alphabets AtoZ and other elementary school topics. They are also experimenting with different stories of other religions. However still the demand is more of the smaller version of the traditional kavad. Presently the demand is not a problem but they find it difficult to reach to market directly and have to sell it to middle men at very low cost. Crafting Nuru brings the kavads directly from craftsmen at the price they deserve and help them reach the right market.